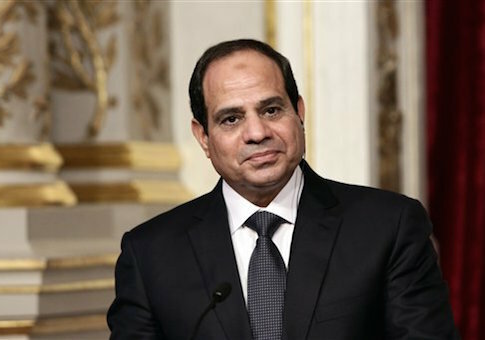 JERUSALEM—In a speech on New Year's day, Egyptian President Abdel Fattah al-Sisi called for a "religious revolution" in Islam that would displace violent jihad from the center of Muslim discourse. "Is it possible that 1.6 billion people (Muslims worldwide) should want to kill the rest of the world’s population—that is, 7 billion people—so that they themselves may live?" he asked. "Impossible." Speaking to an audience of religious scholars celebrating the birth of Islam’s prophet, Mohammed, he called on the religious establishment to lead the fight for moderation in the Muslim world. "You imams (prayer leaders) are responsible before Allah. The entire world—I say it again, the entire world—is waiting for your next move because this umma (a word that can refer either to the Egyptian nation or the entire Muslim world) is being torn, it is being destroyed, it is being lost—and it is being lost by our own hands." "We have to think hard about what we are facing," he said. "It’s inconceivable that the thinking that we hold most sacred should cause the entire Islamic world to be a source of anxiety, danger, killing, and destruction for the rest of the world. Impossible."